Ahead of our Women In Beer event, we interview a charity dedicated to advancing gender equality across the brewing industry. In London this July, we’re hosting an event to celebrate the growing number of women who work in the beer industry. Our panel of female brewers and creatives will discuss the challenges women face in the traditionally male-dominated field. 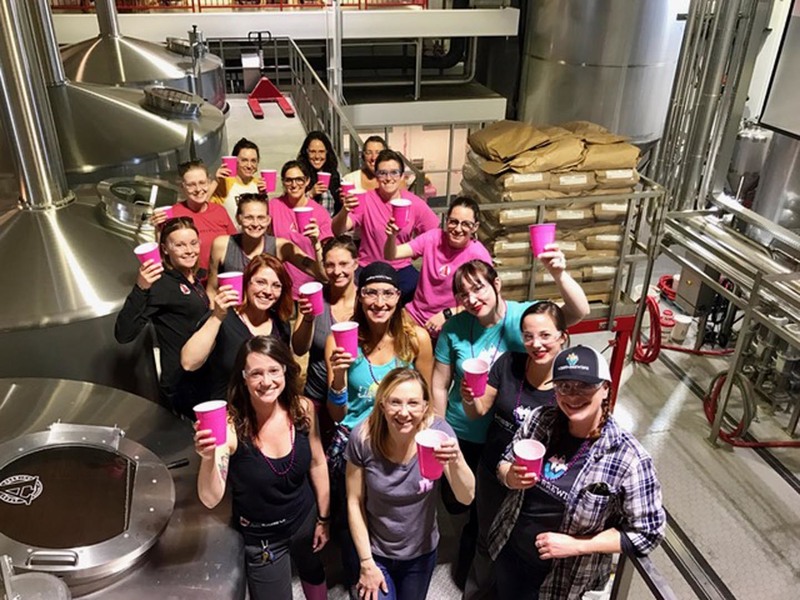 Since it was created in 2007, international nonprofit Pink Boots Society has been dedicated to helping female brewers advance their careers and develop new skills. 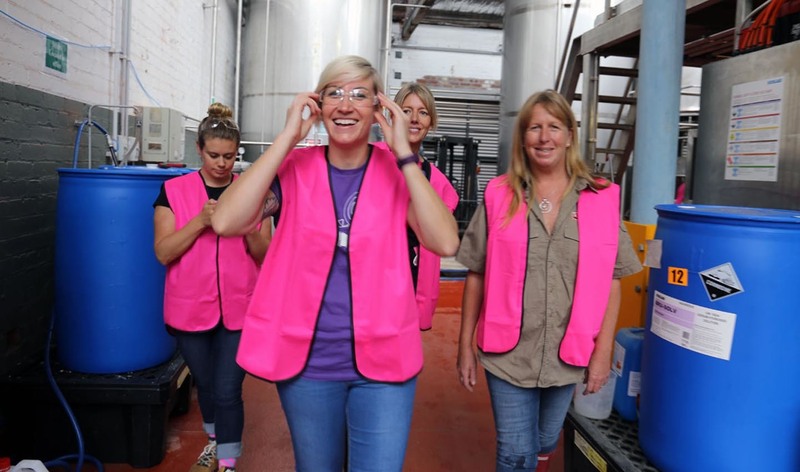 Here’s Executive Director Emily Engdahl on what its like being a woman in the beer industry today and how her organisation is making a difference. What are the challenges facing women working in the beer industry? There is no gender-based glass ceiling in the beer industry, there is only an education-based glass ceiling. PBS gives women the knowledge and tools for success. In the US especially, girls are less likely to have the same education experience in science, tech, education and math as their male counterparts. The gender gap widens in middle school, and results in a dearth of females in certain science based industries and educational pursuits. Those young ladies may then, as they are older, come to the brewing industry from a host of other fields, just like the males do - but without the same backgrounds of hard science, mathematics, technology or brew-science specific experiences. We aim to equalise that educational playing field. All of those STEM areas are areas in which females are needed desperately, and areas that brewing encompasses. What is the purpose of Pink Boots Society? Since industrialisation, males have predominantly been the brewers. In ancient and pre-industrial times, women were the brewsters. We aim to reclaim our spot next to men in the industry by providing support, education, and opportunities for our members to become leaders in their fields. Women play an important role in all strong communities, and until recently they have been underrepresented in our beer community. Pink Boots attempts to equalize the opportunities in our industry between men and women by making women feel welcome, and rectifying their seemingly common experience of feeling “like the only woman brewer” they know (a quote was commonly heard among women prior to the creation of the Pink Boots Society in 2007). Although one portion of our mission (gender inequities) within the brewing industry encapsulated in the United States seem to be fading slowly, we hear from those in the brewing industry across the world that education and advocacy are still sorely needed. Opportunities like these are vital for creating a diverse workforce in which everyone has equal footing. How is this purpose being realised? We encourage community participation and connectedness through shared knowledge. We have granted more than 50 scholarships, internships, job opportunities, educational programs, and support to our members in over 50 chapters in 10 countries across the globe. Everywhere we have members women are paying forward the education they receive; welcoming tourists and community members to their establishments, forging bonds with local institutions like universities and new scholarship partners, and extending goodwill at home and abroad to local residents, tourists, and anyone curious about beer. We have raised roughly $390K since 2008. Of that, $332K has gone to programming, scholarships & chapter development. In what ways are things changing? Each day, hundreds of visitors flock to cities where craft beer is helping create economic opportunities, encourages small business growth, revitalisation, and community resource building. These folks partake in the myriad bounty of cultural, educational, environmental and social interests that each of these beautiful places holds, all across the world. Though they encompass much more, a city with craft beer owes a large part of the culture and draw to the craft beer industry. Time and again it’s been shown that breweries not only help to buoy economically fragile and at risk areas, they spur revitalization, add jobs, provide opportunities for ancillary and affiliate companies to thrive, and partner with existing businesses to create collaborative outcomes in their communities. What is your focus at the moment? One major initiative for 2017 is a research project spearheaded by the Pink Boots Society in collaboration with the Smithsonian Institute, the Brewers Association, Stanford University, Oregon State University, Portland State University, New Belgium Brewing, Valley Malt and the Craft Maltsters Guild, and the California Craft Beer Association. This group is tasked with researching and surveying women in the beer industry to discover their impact on demographics and inclusion in the industry, as well as reveal barriers to inclusion in judging, speaking, and presenting in the industry. We are currently working on a demographics and inclusion survey that will be released worldwide to our members and any woman working in the beer industry globally. No other similar study has ever been done, and no other association is as expertly poised with the same connections as Pink Boots to accomplish it. In addition to the information and hard data that we are collecting, our goal is to reveal barriers and obstacles still in place to women as beer judges and as presenters or speakers.